The Dung Beetle is part of the Scarab Beetle family( Circellium bacchus)(Afrikaans name Miskruier) . 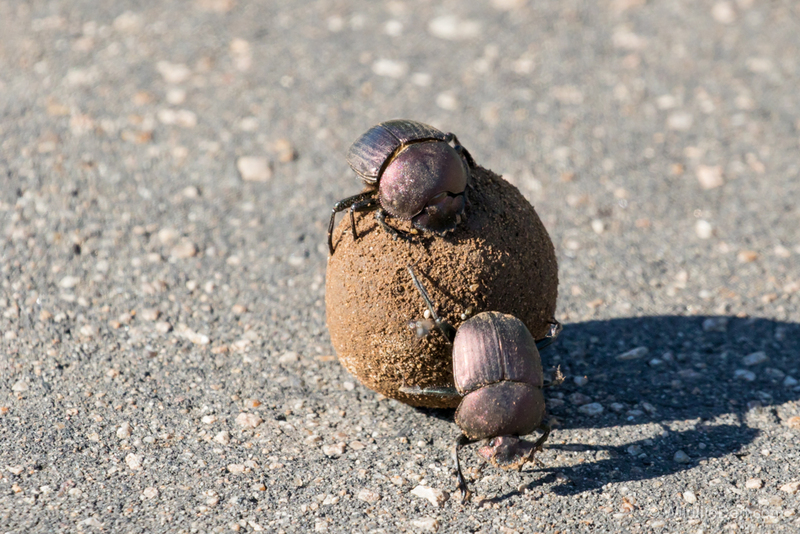 The dung Beetles we saw in Kruger National Park are the Rolling Dung Beetles. These Dung Beetles prefer the dung from the herbivores. 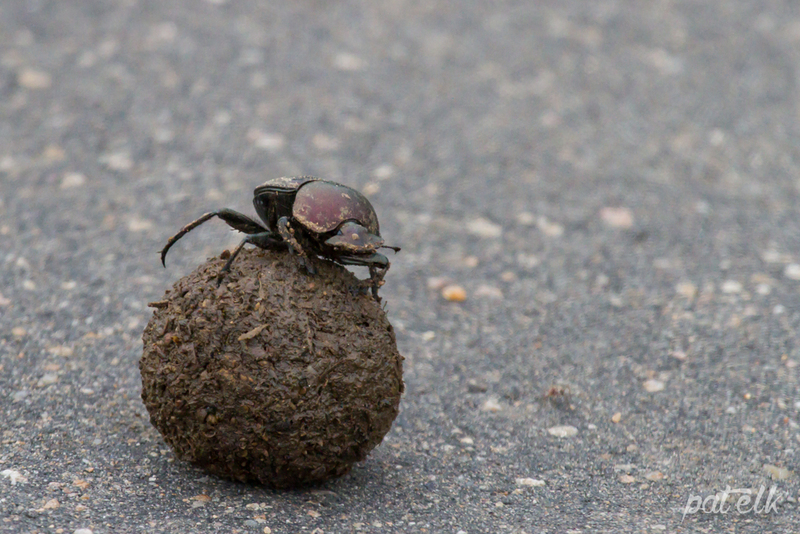 They roll the dung into perfectly round balls and then roll them to soft soil where they bury the dung, then they mate and lay their eggs into the dung ball. 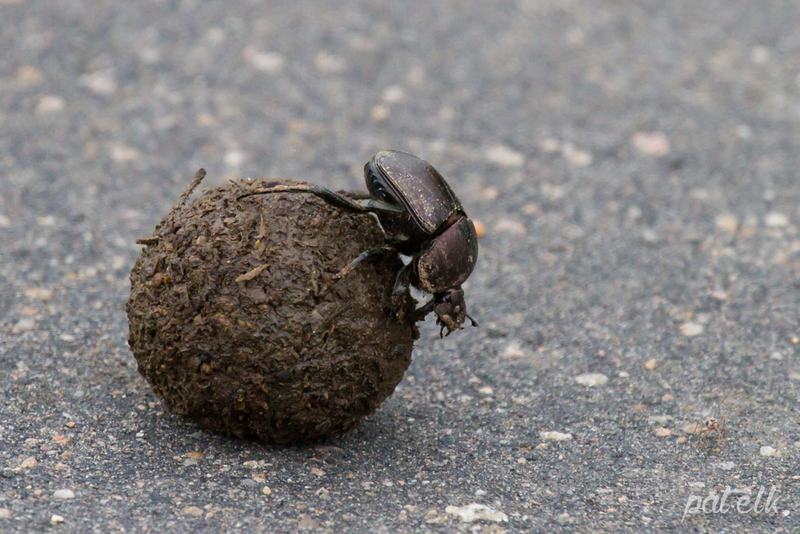 We came across them busily rolling their dung ball down the road in Kruger National Park.